I thought I’d start with the part of the wedding that gets me almost every time: the marriage vows. Whether the ceremony is secular or religious, whether the words were written thousands of years ago or minutes before they are spoken, the vows always kick me right in the tear ducts. As a wedding photographer’s assistant for Roberto Farren Photography, I am typically crouched down at the back of the venue, trying to keep the top of my head out of pictures, but this is my favorite part of the day. The readings, the ceremony, the speeches…everything else about the day will be beautiful and moving, but this is the part of the wedding where you’re attesting to each other, in front of your nearest and dearest, that you don’t want anyone else. You’ve made the choice to be together, and you get to tell the world, and most importantly, each other. 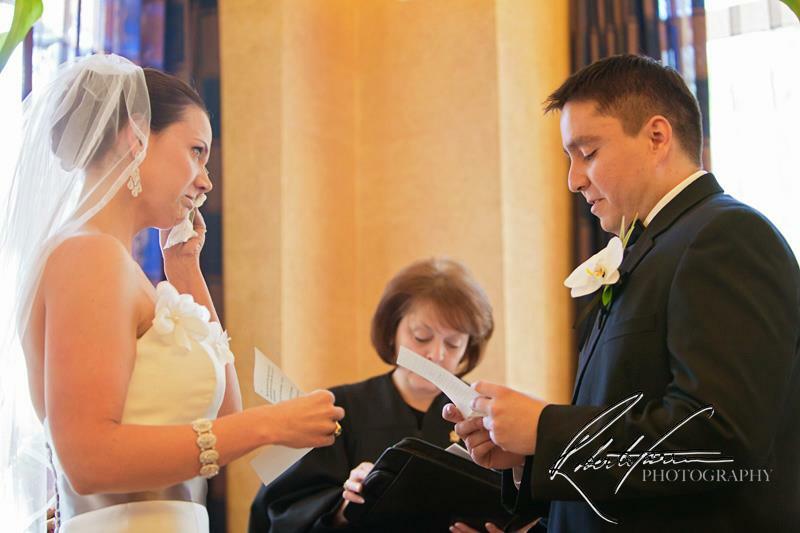 Emily tears up as Carlos reads his heartfelt vows on their wedding day in Boston, MA. While your inability to get through your vows will probably not get you pushed out of the wildebeest herd, it is important to know your strengths and work within them. 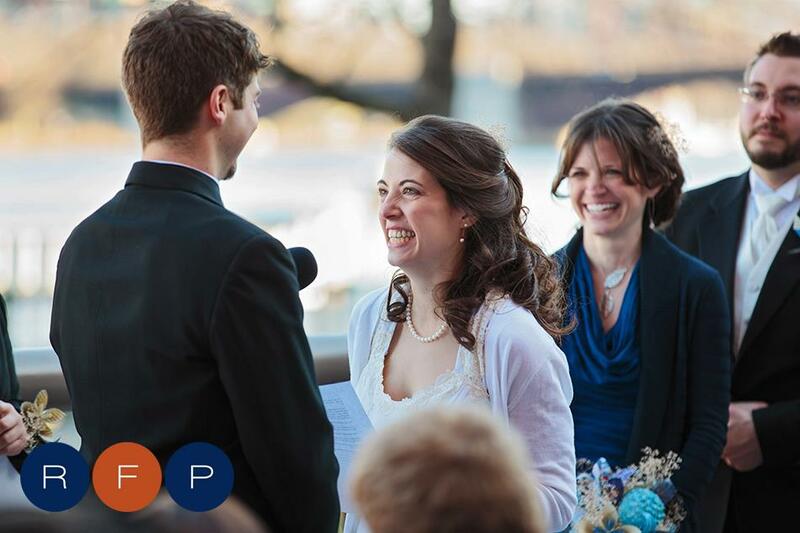 If you’re sticking to traditional vows, make sure you practice. Trust me, it can all get a bit foggy up there, no matter how ready you think you are. If you’re writing your own vows, write from the heart. That said, try to be concise. It will be an emotional day, and while the occasional tear (or even an occasional blubber) is expected, you don’t want to have a shaking, fainting, sob-fest during a 17-page “Ode to my love”. You shouldn’t have to list every single thing you love about each other, but highlighting a few specifics is a great way to start. Get personal, but don’t go too over the top. Remember, your grandmother is listening, and we don’t want anyone having to use Urban Dictionary during the ceremony. Share inside jokes, but remember to keep it simple. During my infamous 6-cry wedding, I blubbered over the groom’s promise to love his wife, despite her fondness for Velveeta instant mac and cheese. Everyone could relate to loving someone in spite of their flaws (Velveeta? Good gracious) and this sweet, funny promise spoke volumes. Their eyes were locked on each other’s as his voice cracked, and she let out a beaming half guffaw/half sob. Roberto captured this exact moment, and it is a wonderful photograph. Their family and friends were giggling and shedding happy tears. It was a perfect happy-cry statement. Mike promises love, in spite of Velveeta, to Denise at their recent wedding in Cambridge, MA. Finally, bring it home. Keep it simple, and end with the promise to love your almost-spouse through thick and thin. 1. Practice. Not that many people have the gift of improvisation. Even if you think you do, prepare. Don’t fret. Your wedding can be a nerve-wracking day, but it’s also a happy day, filled with love, laughter and cake. You’re going to be just fine.